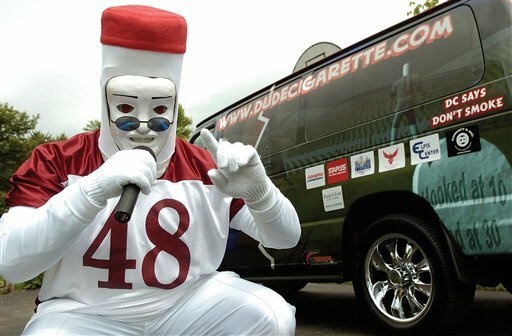 A man known by some people in the region for dressing up as a giant cigarette and using hip-hop music to teach children to avoid smoking has pleaded guilty to bigamy. more than one person has wanted to marry dude cigarette? not possible.